The cheapest, least important part of your USB infrastructure is future-proofed. If you've invested heavily in USB Type-C cables, the USB Promoter Group has some good news for you. 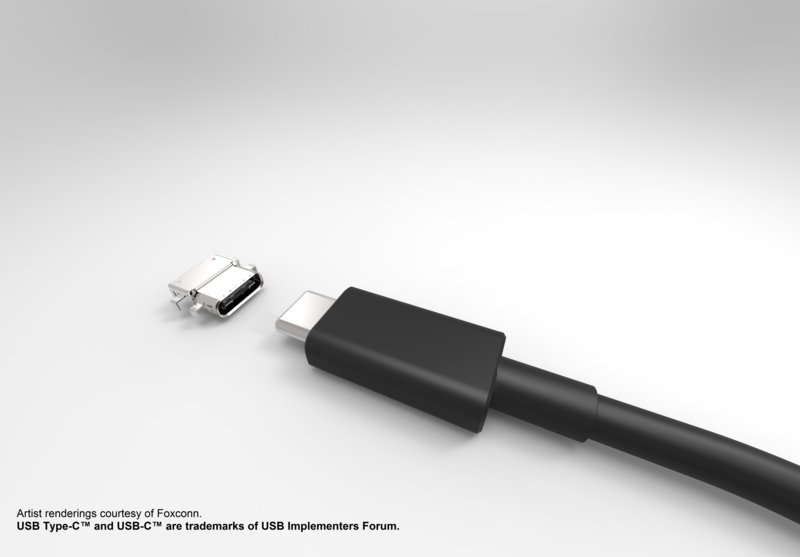 The next version of USB, USB 3.2, will double the speed of existing Type-C cables. Cables currently qualified for USB 3.1 generation 1's 5Gbps will be able to operate at 10Gbps; those qualified for generation 2's 10Gbps will be able to run at 20Gbps. The only small inconvenience is that to use these new speeds, you'll need brand new devices at each end of the cable. But if you've managed to find some Type-C cables that actually properly comply with the specification—something that's harder than it should be—you can rest assured that they'll continue to work with the new spec, without holding back the performance of your devices. As for how the cables are able to double in performance, the explanation is simple enough. One of the most compelling features of USB Type-C is that it can be used for more than just USB signalling; other protocols such as Thunderbolt 3 and DisplayPort can use the same ports and the same cabling. To support this flexibility, the ports and cables have four pairs of wires used for high-speed data transmission. While some protocols, such as Thunderbolt 3, use all four of these pairs simultaneously, USB 3.1 only uses two of them—one pair for transmitting data, the other pair for receiving it—with the other two going unused. USB 3.2 will enable USB devices to use all four pairs simultaneously, providing a simple way to double performance of existing cables. The full USB 3.2 specification is expected to be finalized in September. Apart from doubling the speed by doubling the number of pairs being used, it is a minor update. The way that data is encoded and transmitted will be unaltered. The hub specification is being changed to ensure that it can properly handle switching between two-pair and four-pair operation, but that's the full extent of the changes.